Get the most of your devices by utilising the USB Type-C port for audio and video connectivity. C2G USB-C adapter cables will help take you from the small screen of your device to the big screen of your HDTV or projector. Available in various lengths for HDMI, DisplayPort and VGA. 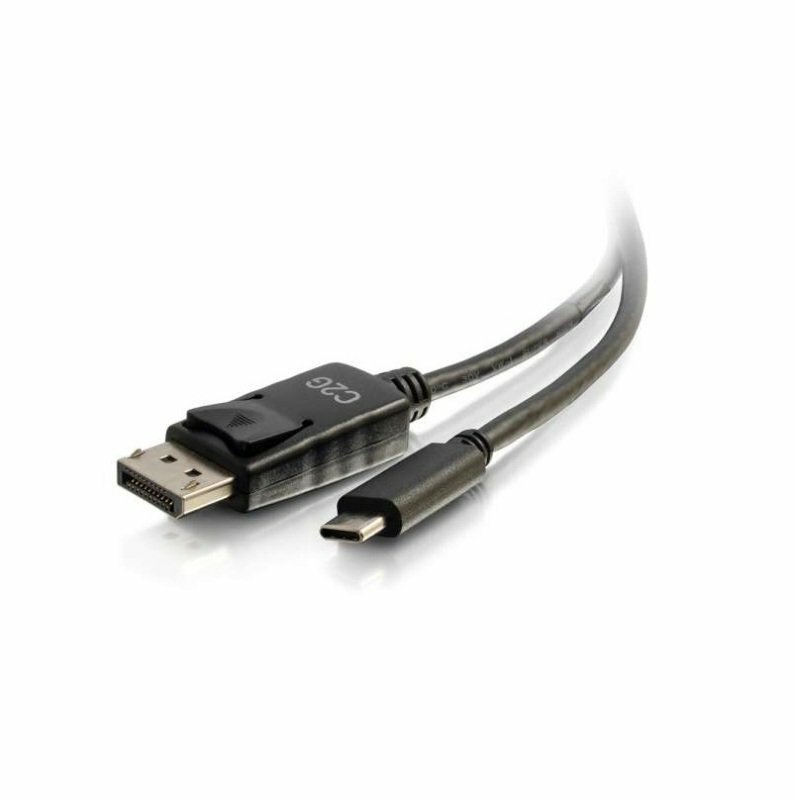 Experience 4K ULTRA HD displays with this USB-C to DisplayPort Adapter Cable which provides a fast and reliable connection between a USB Type C enabled Chromebook, laptop, tablet, smartphone or other device, and the DisplayPort input of a projector or display - making it an ideal solution for the office, work space applications or classrooms. This adapter utilises the audio/video capabilities built into USB Type-C ports to feed an audio/video signal to a DisplayPort monitor to achieve high quality, 4K (ULTRA HD) video image. Additionally, the USB-C connector has a symmetrical design which is identical on both sides, which means it does not matter if you plug it in upside-down or right-side-up - it will plug in the first time, every time, whilst preventing damage to the connector port. The cable form factor of this adapter provides a simple and convenient solution that eliminates the need for a separate adapter or additional cabling, offering a straightforward installation.